Dashkevych, Mykola [Дашкевич, Микола; Daškevyč], b 4 August 1852 in the village of Bezhiv, Zhytomyr region, d 20 January 1908 in Kyiv. Literary scholar and historian. He completed his studies at Kyiv University and eventually occupied the chair of Western literatures at this university. He headed the Historical Society of Nestor the Chronicler in 1899–1904 and 1905–8. From 1907 he was a full member of the Saint Petersburg Imperial Academy of Sciences. Dashkevych wrote a series of works about Ukrainian, Russian, and Western writers (Ivan Kotliarevsky, Amvrosii Metlynsky, Aleksandr Pushkin, Mikhail Lermontov, William Shakespeare, George Byron, Johann Wolfgang von Goethe, and others) in which he examined literary phenomena using a historical-cultural and a comparative-historical approach. His main work, a survey of Ukrainian literature written in the form of a critique of a book by Mykola I. Petrov, was entitled Otzyv o sochinenii g. Petrova ‘Ocherki istorii ukrainskoi literatury 19 stoletiia’ (A Reply to Mr. Petrov’s Work ‘Outlines of the History of Ukrainian Literature in the 19th Century,’ Saint Petersburg 1888). Rejecting the view that modern Ukrainian literature was heavily dependent on Russian literature, Dashkevych emphasized the independence of Ukrainian literature and its close ties with West European literary trends and styles. 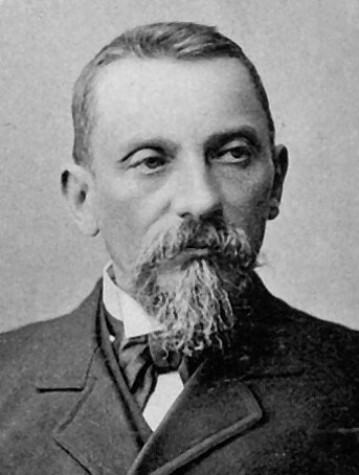 Dashkevych wrote several studies of Ivan Kotliarevsky (in Kievskaia starina, 1893 and 1898, and in Chteniia v Istoricheskom obshchestve Nestora-letopistsa, 1907); a study of the popular duma about Oleksii Popovych; and the historical investigations Bolokhovskaia zemlia i ee znachenie v russkoi istorii (The Land of the Bolokhovians and Its Significance in Russian History, 1878), Kniazhenie Daniila Galitskogo po russkim i inostrannymi izvestiiam (The Reign of Danylo of Halych According to Russian and Foreign Reports, 1883), Pervaia uniia iugo-zapadnoi Rusi s katolichestvom (The First Union of Southwestern Rus’ with Catholicism, 1884) and Zametki po istorii Litovsko-Russkogo gosudarstva (Notes on the History of the Lithuanian-Ruthenian State, 1885).